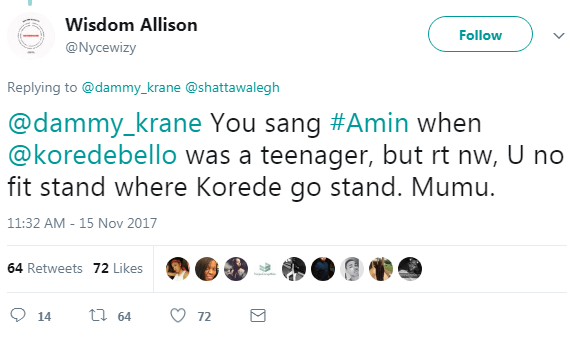 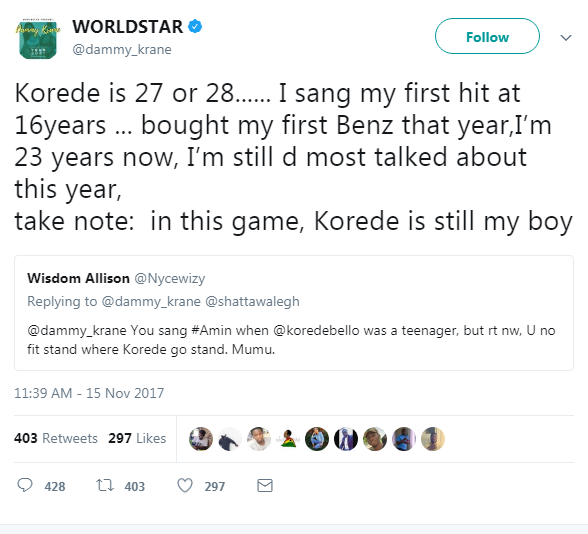 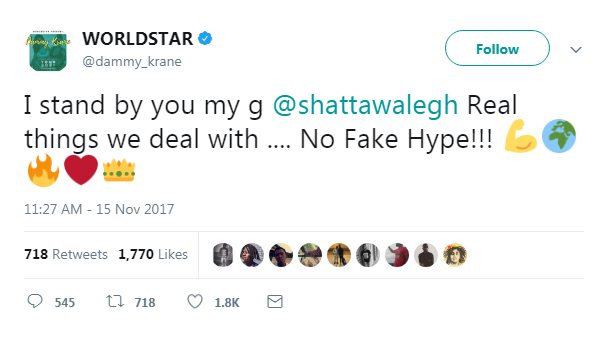 Nigerian singer, Dammy Krane has taken side with Ghanaian dancehall artiste, Shatta Wale to shade Wizkid. 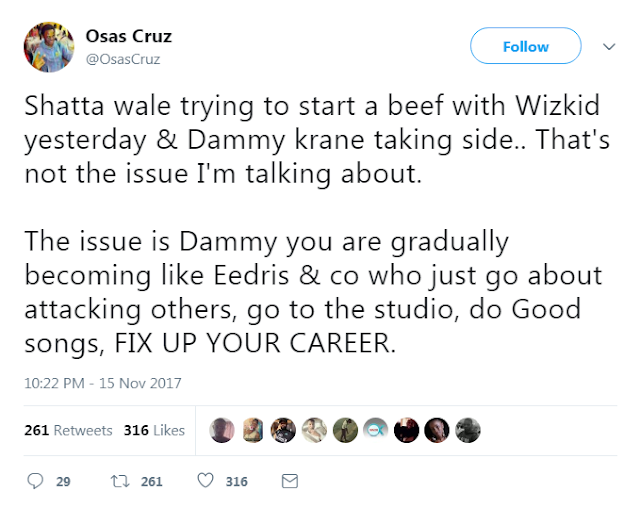 Shatta in an interview said he doesn’t see anything extraordinary about Wizkid. 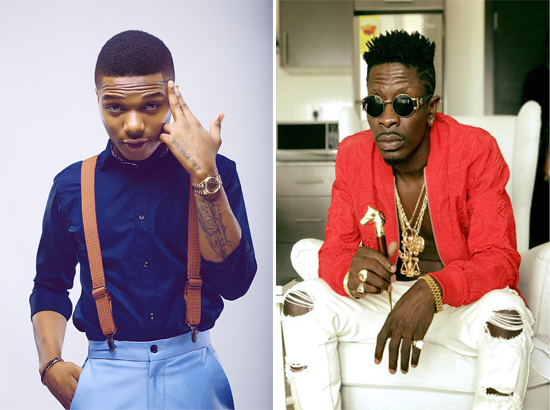 This, he said was contrary to the popular notion most of his colleagues have about the artist.